To increase network agility, organizations need to automate data transfer processes and replace legacy routing solutions that add latency and limit bandwidth and availability. Amazon Virtual Private Cloud (VPC) allows businesses to provision a logically isolated section of the AWS Cloud where they can launch AWS resources in a virtual network that they define. 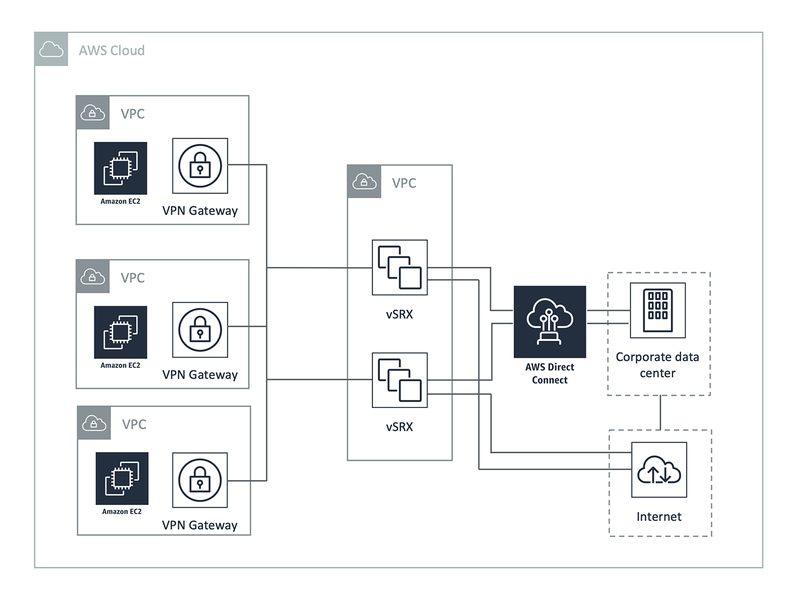 Transit VPCs help organizations transfer data from one Amazon VPC to another, simplifying operations and eliminating the latency issues by peering between resources. A Transit VPC can also add capability and flexibility to Amazon Virtual Private Clouds. Cisco CSR 1000V is a multi-service cloud networking platform offering scalable routing features, Virtual Private Network (VPN), stateful firewall, and application inspection for secure data flow between Amazon VPCs. The following diagram details how Cisco CSR 1000V simplifies routing within cloud environments by layering a hub-and-spoke topology. As one of the world’s leading software providers, Infor’s success hinges on its software engineers’ ability to create as many virtual test environments as needed. However, innovation was constrained by the company’s traditional IP networking and overly varied ways to connect to AWS and non-AWS domains. Cisco CSR 1000V Series enabled Infor to build on its existing Cisco networking foundation to create a transit VPC, allowing the company to turn on and scale out services faster. Launching an application development environment used to take several days, however, it now takes less than an hour. By shortening development cycles, we can put innovation into the hands of customers much sooner, while accelerating product monetization and time-to-revenue. The Juniper Networks Transit VPC enables data to flow securely between Amazon VPCs. This automated solution streamlines management, which improves connectivity while enabling organizations to connect new network infrastructure in minutes. Here’s an illustration of the relationship between Transit VPC, secure Amazon VPCs, and a corporate data center, as you see in many organizations. Routing traffic between the VPCs became time consuming and inhibited productivity. CBT Nuggets found Juniper Networks in AWS Marketplace and used the Juniper Networks Transit VPC as a hub to enable data flow between the spoke Amazon VPCs and on-premises resources. The solution provides dynamic routing and next-generation firewall capabilities. The ability to add —in five minutes or less —a new chunk of infrastructure to our underlying network is priceless. Learn more about the Juniper Networks Transit VPC through this eBook or webinar.